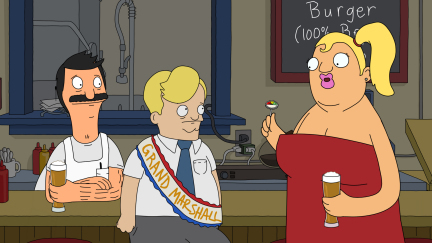 BOB'S BURGERS: When the town's annual lobster festival is cancelled by a storm, Bob opens his doors to the hungry festivalgoers in the all-new "Lobsterfest" episode of BOB'S BURGERS airing Sunday, May 15 (8:30-9:00 PM ET/PT) on FOX. BOB'S BURGERS ª and © 2011 TTCFFC ALL RIGHTS RESERVED. This page was last edited on 1 September 2012, at 02:01.